Also known as Mexican husk tomatoes. Member of the nightshade family. Originated in Mexico and is considered a staple in Mexican cuisine. Key ingredient in both fresh and cooked Mexican and Central American green sauces. 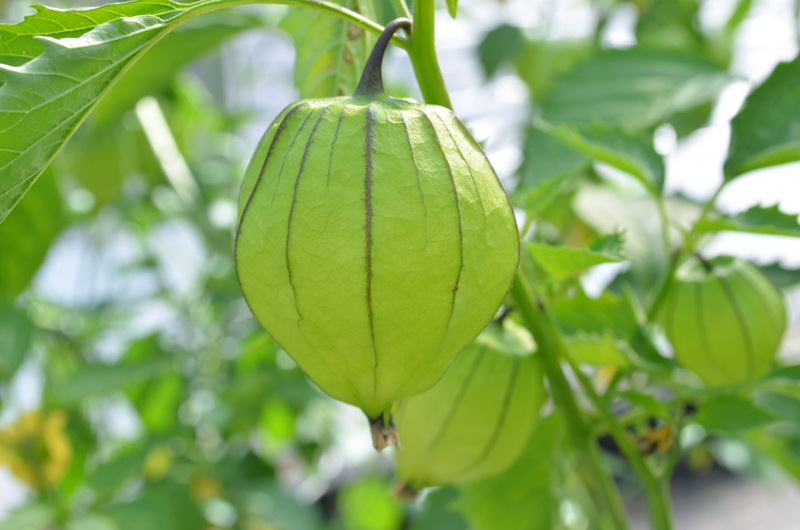 Aztecs domesticated tomatillos dating back to at least 800 BC. Low in cholesterol, sodium and saturated fat. A good source of iron, magnesium, phosphorus, and copper. Also, a very good source of fibre, Vitamin C, Vitamin K, Potassium and manganese. Harvest when husks have turned from green, leaf-like and pliable to beige, crisp and papery, and have burst. 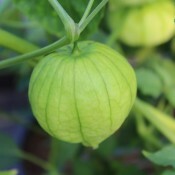 Can be stored within the husks in the refrigerator for up to 3 weeks; can also be frozen without husks for longer storage.